Today, small to midsized enterprises are operating in an omnichannel retail world. It’s never been more important to equip your business with the right technology to ensure that when the next big opportunity for sales arises; your business is ready. Whether you’re a traditional brick and mortar retailer, have a budding web presence, are a lightweight mobile channel company, or all three, you’ll need the right technology to connect with the big customers because it’s here that companies can access bigger markets for their products. In non-integrated system environments, businesses often struggle with ensuring that new retail channel partners have enough product to fulfill their orders. Otherwise, your retail partner may look to the competition to fulfill their customer's needs. As demand for your products starts to grow, you can see your sales go from 1000 units a week to 10,000 units a day. There is a huge opportunity for retailers to grow their business if they can find a way to play ball with the big retailers. By using a standard data format for order communications, Electronic Data Exchange (EDI) enables companies to electronically exchange order information with a supply chain partner without the need to manually enter, and re-enter data. EDI effectively automates processes resulting in less data entry errors, quicker orders fulfillment, and greater customer satisfaction. Not only that, but many retail partners demand EDI standards from their business’ partners. Even though your business is using a different technology than the buyer, their order system will be able to accept and receive information from you because it’s in a standardized format and meets the compliance requirement for standardized electronic communications. EDI provides the technical specifications to automate fulfillment to larger formalized partners in your supply chain. But equally it is part and parcel of a more efficient business backend that streamlines a business’s operations. 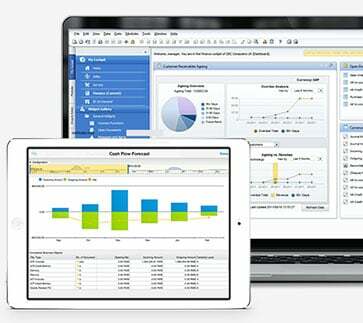 EDI pairs well with an enterprise resource planning system or ERP. Businesses can proactively meet customer and supplier demand with these solutions designed and built to connect their business backend to a broader network of suppliers that all conduct business using the same language. Together these solutions offer an effective way to deal with the requirements of modern omnichannel retailing; offering a platform for future growth and success. 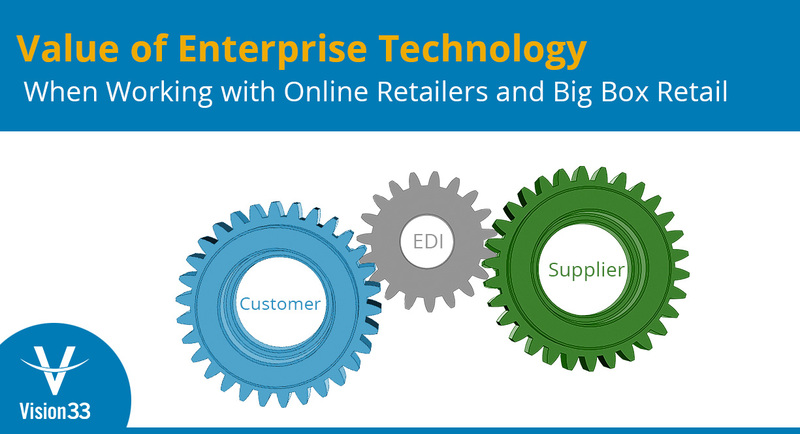 What Enterprise Technology Solution Does Vision33 Recommend for Retailers? Vision33 offers SPS Commerce Cloud EDI, built exclusively to connect SAP Business One to the SPS Universal Network which consists of over 55,000 retailers, manufacturers, suppliers, 3PLs and more. If a retailer is behind a market trend, it could be a disaster; if inventory runs out, then the company can’t capitalize on it – the customer isn’t going to wait around either. But to the businesses that possess the right products, pricing, market strategy, and modern enterprise technology, there are endless opportunities. To learn more about Vision33 EDI offering SPS Commerce Cloud EDI, watch the product demo on Cloud EDI for SAP Business One Retailers.